I was updating my YPS collection and wondering if this is the 1 oz Gen 1 Kit Kat bar? If so, Silver Slackers spreadsheet says the mintage is 25, but, it has a #41 and the pic shows the top blank. Is there a 1 oz Gen 2 that was serialized? ps...looking for more #41 YPS bars...I have about 25-30 and looking to sell #41 set down the road. I'll bet that's a custom job. Whoever had the original #41 set had it stamped onto everything, even bars that weren't serialized. I have a 3 oz WFTW cube that has a "41" on it, but there were only like 25 of them made and it wasn't serialized. PS. If you want the WFTW cube, I'd be happy to trade if for another one if you'd like to reunite it with it's other "41" brethren. I just snagged the BullionStacker 100g chunky round that was listed. Thanks! Better go back and look to see if there are any other BS bars I missed. IIRC, a member here had me stamp 41 on it. They collected #41 because it was their kids sports number or something. We have an extra 100 of the 2018 YPS bars to unload. If you use fee free payment, they are $16.49/ea. Limit 10 pp. Hey Zubie. I have the #41 SS 4 oz Skull. PM Me and I'm sure we can work something out if you can replace it. Oh good, with you guys posting all the links for the new bars, I don't have to do anything here. brittanyb wrote: Oh good, with you guys posting all the links for the new bars, I don't have to do anything here. Really. Tdtwedt should ask for a raise. Inky Blinky Pinky & Sue, so many quarters wasted. Last edited by Rik Bitter on Wed Oct 31, 2018, edited 1 time in total. A raise just for sending a twedt? 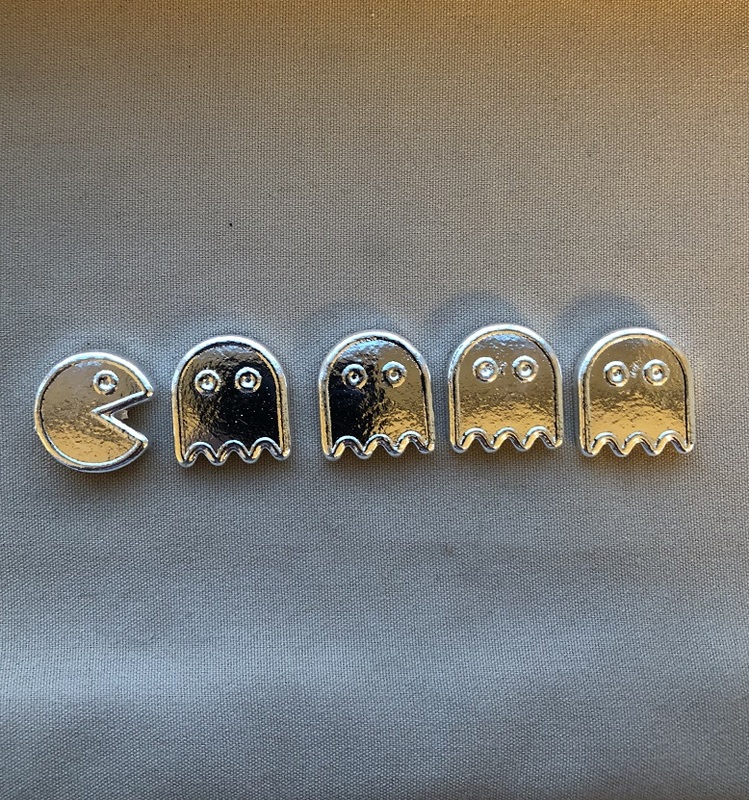 Buying some PAC MAN soon! How do you pronounce tdtwedt anyways? The maple was an experiment that worked out, and a new Christmas bar is in the queue. For sure that maple looks SWEET!